The holiday season is a special occasion, a time when we are surrounded by family and friends. Joy in the heart shines through symbolic gifts that we all love receiving and which are treasured due to their strong significance. Every person loves to receive something as a sign of appreciation for their presence in our life. The value of any gift comes from the strong connection we have with the giver. The same feeling we get when making gifts for a loved one. Gift giving allows us to express our admiration, respect and love for all the people in our life. As holidays grow closer we ponder and analyze gift ideas for the older folks in our life as we do the youngsters. A few favorites for the older folks are below. Although technology might not be the best friend of the elderly, if that is their interest there are things to consider. There are thoughtful gifts you can make from this area as well. For example, purchasing a weather environment system or station display can become the perfect way of offering them the chance to be always informed about the weather in their region in a simple way. It is not a difficult device to use and you can even install it for them so that all they have to do next is enjoy using it. It will show temperature outside and inside as well as the wind speed and its direction. This is a valuable gift for older adults in your life because it is practical given the fact that everyone is interested in monitoring the weather every day so that good traveling plans as well as a list of daily activities might be established accordingly. Everyone spends some time every week cleaning the house. When it comes to older adults, the efforts required in doing this chore are more serious given their age and physical condition. Therefore, bringing help their way in this case can only prove to be the best gift ever for obvious reasons. You can manage to achieve this by purchasing a robotic floor cleaner for them to use both on linoleum and hardwood and make their jobs so much easier every day. This is a thoughtful gift and one that they will treasure the most given its practicality and ease of use. It will help them keep their homes clean all day long without having to spend too much time or effort to achieve this. Their energy is better preserved for other joyful activities appropriate for their age. It can be the perfect gift for parents, grandparents as well as any other adult on your list because everyone needs help cleaning their personal spaces easier to ensure perfect living conditions. Everyone loves a fresh cup of coffee in the morning but not everyone is too joyful about waking up early and making the coffee. However, with the latest advancements in technology everything can be done easier these days. Who said that technology cannot be a practical part of the life of older adults as well? A brewing system coffee maker is the perfect tool for everyone to use with the purpose of having fresh, delicious coffee made easily every morning. Offering this device as a gift can only bring joy and appreciation from those receiving it. We all need such tools in our homes and enjoy using them so everyone receiving this gift will be thrilled to see how practical you have been in terms of choosing New Year gifts. With the press of a button and easy refill actions, your older adult friends will drink their coffee every morning thinking of your thoughtful gesture. Everyone likes to make and receive gifts because it is the way in which we show the people surrounding us how much we appreciate their presence in our life. No matter whether your list of people for whom you would like to buy gifts this New Year is made of people living in care homes in Barnet or parents, grandparents and other relatives living at home, the above-mentioned gift ideas can help you succeed in making them happy. Author: Edward Francis is interested in writing about health, fitness and related issues. He has a deep knowledge of this field. Edward also works for care homes and retirement villages. and How to treat them? Dementia is a broad medical term that describes severe mental ability decline . In most cases, the patient begins to experience memory loss, that may become Alzheimer’s Disease (one of the most widespread types of dementia). If you know a loved one or someone else struggling with dementia, it is fundamental to know how to treat them. Even though the disease is incurable, there are treatments and drugs that might help. First, you need to spot the signs and make sure your relative or family member actually has Alzheimer’s or Dementia . Forgetfulness is common, and many seniors deal with mild memory loss daily. However, if you notice that your grandmother can no longer remember your name, or your dad forgets what year it is, then it’s a reason to worry and search for the best treatment. How do we treat the person with dementia? Even though dementia is an incurable disease, there are ways to make the lifestyle of a loved one easier. It is important to know the type of dementia your parent or loved one suffers from. Your next more is to consult with a physician and settle on the best treatment. Here are some suggestions. • Vitamins – many people struggling with dementia have vitamin deficiencies. In this case, the best treatment is supplementation. When Vitamin B12 are low, the patient is prescribed medication; he’s either given a pill or an injection. Then the blood levels are tested to settle on the appropriate dosage. • Depression medication – many people suffering from Alzheimer’s, or any other form of dementia, also suffer from depression. This health condition can severely affect the quality of their lives. • Palliative care – at some point there’s nothing a physician can do. This means that the best treatment is palliative care. It’s more like an attempt to help the patient accept the disease. The goal is to improve life quality in the mind, body and spirit. The main goal of continuous dementia treatment is to make sure that the patient feels safe at home for an undetermined period. It is important to provide the sufferer with as much care and attention as possible; but without being overly persistent. Close relatives often become caregivers , but if that’s not possible, you should hire a professional. Furthermore, the patient must visit a physician once a week, to assess the progress of the disease and possible receive new medication. Is assisted care the best solution? There’s no way of knowing what’s best for your loved once until you’ve tried everything. If you can afford to become a caregiver, then that’s fine. But be aware that it will become a full-time job. Little by little the patient will get worse, and the disease will become almost unbearable. Caregivers may even have to help with dressing, bathing, eating, and more. An authorized nurse or caregiver knows what sort of treatment to provide to the patient, as well as in what quantities. 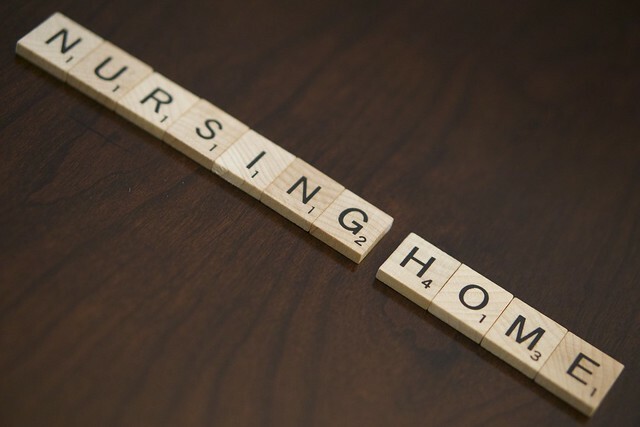 Assisted living facilities are not just meant to work as temporary housing for your loved one. Such nursing homes feature activities that the patient may need to feel comfortable. Socializing, playing games, walking, and interacting with other people are fundamental to keep the brain active and postpone the onset of the disease for as long as possible. Bottom line is, dementia can be treated in many ways. Sadly, it can’t be cured. The best thing that you can do is assess your options carefully. A care home might be the best option, because no one can look after your loved one better than a professional with proven medical experience. Do what’s best for mom or dad and offer them the care that they need to live a comfortable, relaxed life. It is difficult to accept the reality of our parents and grandparents getting old. But believe it or not, it does happen and the responsibility falls on us to take care of them as they once took care of us. As the roles are reversed, we have to be very mindful of our elders’ deteriorating physical and mental health. It becomes necessary to ensure that their diet is followed, they take their medicines on time, the house is safe for them, and their social and personal life remains somewhat intact. Fortunately, with commitment, compassion, drive, and our love for them, we can take many measures and arrange for daily aids to make them feel better at home. As we age, our bones become weaker and our skin gets more susceptible to burns. So, the first thing we need to do with elderly people in house is to make it safe and sound. For instance, we might want to provide them a room at the ground floor so they don’t have to brave the steps every hour of the day. We must make doors easy to open for arthritis patients by installing levers. We must either change floors that are slippery, or ensure that they are well-cushioned with rugs and mats, without slippery throw rugs. Finally, remove obstacles from their path, especially pointed corners and low steps on the floors. A well-lit house will prevent the elders from fumbling for things, trying to find things and losing their footing during the process. You can make it even better by installing sensory lights so that they won’t even have to look for the light switch on the wall. Most elders (fathers especially) love to get their hands on newspaper first thing in the morning, or there are times when they run out of medicines and cannot make it to the drug store. Make sure to hire services who can make deliveries at the doorstep on time. 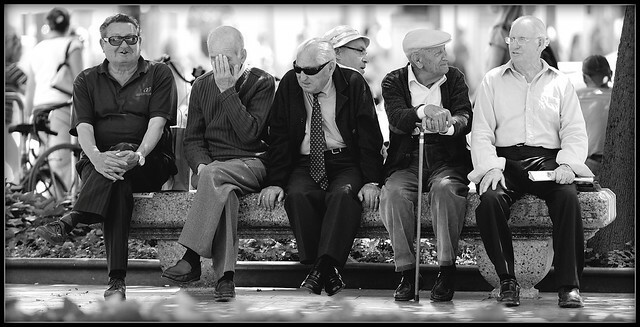 Elders need a social life as much as younger folks because old age and isolation can create deep feelings of loneliness. Elders have spent a good part of their life working, taking care of children, attending events and dividing their time among many other activities but with old age a television ends up being their best companion. There are many community events that allow seniors to mix together. There are also healthy exercises like a biking event that can keep them involved and happy. Other activities can be arranged for seniors as well; baking, knitting, gardening etc. 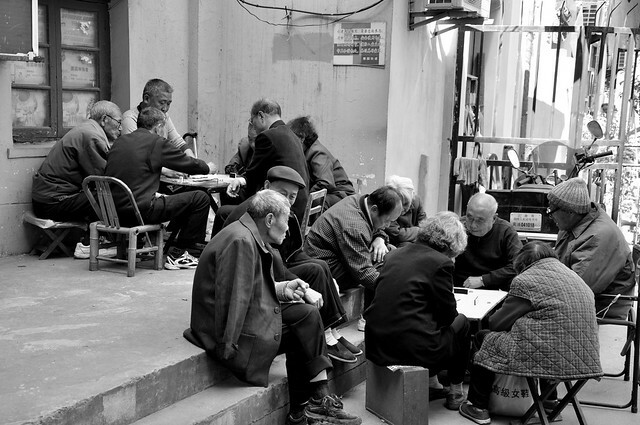 Social groups and tea parties help to keep their heart lighter and their spirits high. If the elders are living alone at home then make sure to get them a low-maintenance pet. Living with pets comes with many benefits and seniors would love to have one living with them. 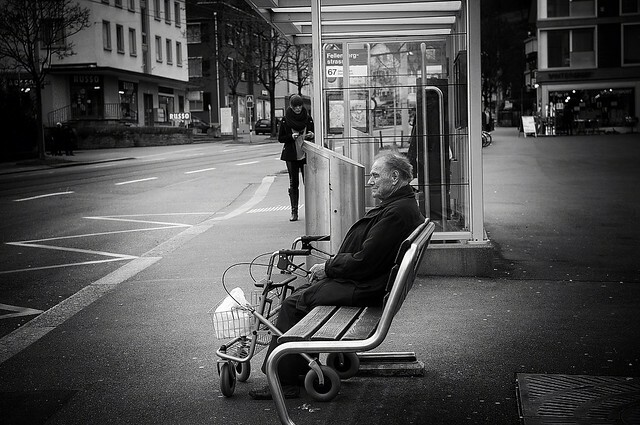 Most of us think of old age as a sad part of our life but it doesn’t have to be. It is just one more phase of our life and with people around us to take care of us, with activities to keep us involved and enough money to keep us properly fed and clothed, old age is like a vacation with no deadline. Author: Andy Caton is a blogger and marketer for Patient Handling. When he’s not working, he’s spending time doing literature, film photography, and cinema. He’s also into fitness and is excited because his wife is pregnant with their second baby.